On February 14, 2012, Arizona will celebrate its centennial as the last of the 48 contiguous states to gain statehood. I hold Arizona near and dear to my heart, and although it is not my native state, it is my home. It was here in Arizona that I found my ability to paint and here in Arizona where I began my art career in 1990 in a little gallery in Scottsdale. Arizona has provided not only inspiration but also loyal patrons who have collected the work of my hands. While studying painting at Arizona State University in the late 80’s, one of the first things I painted was a rose from the back yard of my Mesa home. Since then, I have continued to explore the rose in my paintings. Each spring and fall I spend a good deal of time photographing the extensive rose collection at Mesa Community College. 2012 will mark the 21st year of my career as a professional artist, and I will be painting my 500th painting. Whew! I can think of no greater way to celebrate my love for my state and my work than to memorialize the occasion with a special painting. 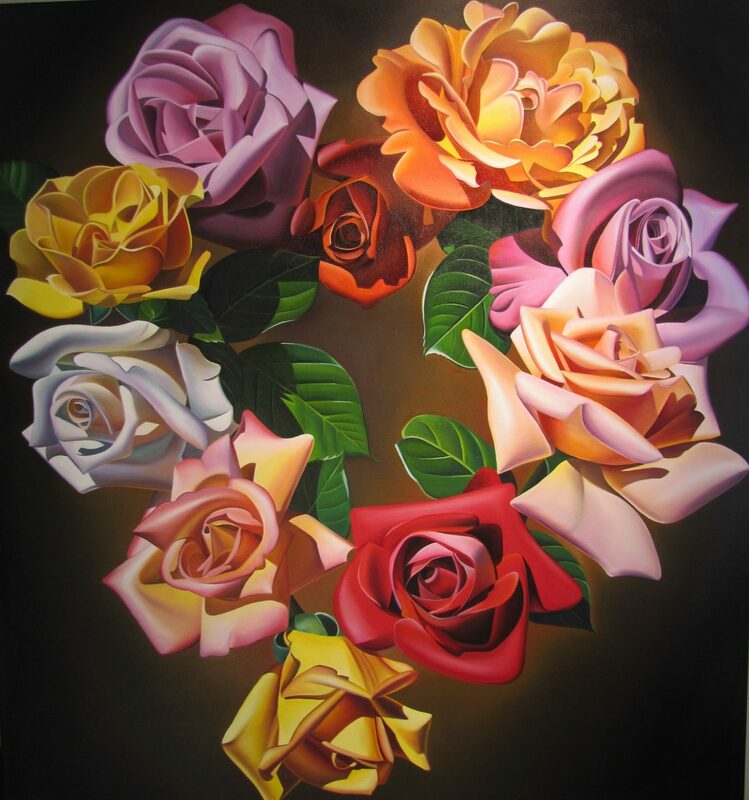 Each rose in this painting represents 10 years of Arizona statehood, totaling 100 years. The various colors of the roses, united in a heart shape, represent the diversity of our home here in the southwest. 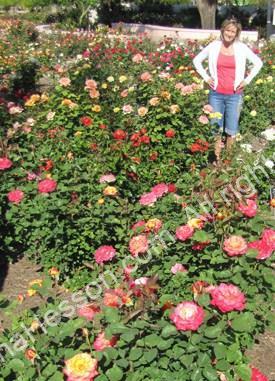 The roses were grown in Arizona soil and bloomed this April at the Mesa Community rose gardens. Dyana at the Mesa Community College – Rose Gardens, Arizona.